Tic Tac Toe(Xs and Os) is a free Windows 8 tic tac toe app where you can play this puzzle against computer or against any of your friends, offline. There are two different level of difficulties: Easy and Hard. AS you open the app, you will find three different options: Singleplayer, Multiplayer, and Options. The Singleplayer option lets you play the puzzle against the computer, the Multiplayer lets you play against another person, offline and ‘Options’ section lets you adjust settings such as entering the names of the players, set difficulty levels, see wins / loses, etc. As you start playing a game, you will find your scores at the top left side, other options at the left bottom. It’s a good challenging Windows 8 tic tac toe app. Go ahead and download Tic Tac Toe(Xs and Os) app in Windows 8 now. 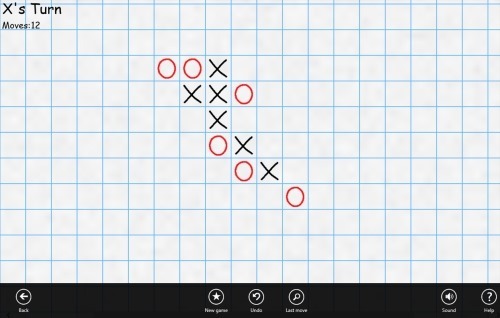 Tic Tac Toe + is another tic tac toe Windows 8 app where you can play the puzzle against computer or ask your friend to accept your challenge. There are 4 different levels: Basic, Addition, Math, and Memory Challenge. As you open the app, you will be required to choose 1Player or 2Players. Now, as you start playing the game, you will find X’s score at the left side and O’s score at the right. You can also reset the game and start over again. 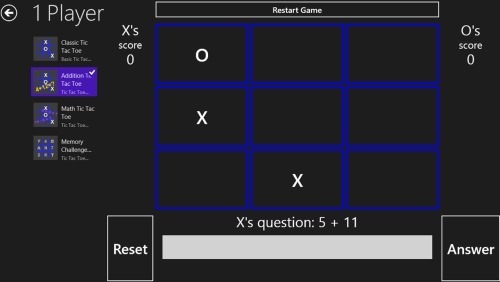 The interesting part about this Windows 8 tic tac toe app is its extended version that entails answering questions correctly in order to mark a cell in the game. It’s quite brainstorming puzzle that can be played to sharpen your brain. Go ahead and download Tic Tac Toe + app in Windows 8 now. Also, check out our posts on Sudoku Puzzle Apps, Jigsaw Puzzle Apps, and Word Game Apps. Mega Tic Tac Toe has been a great success in the mobile market, and now the developers have expended this puzzle app. 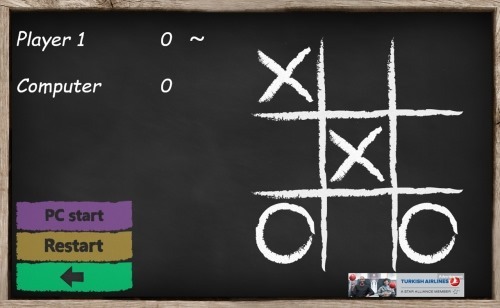 Now, you can easily play this tic tac toe app in Windows 8 screen. The app brings you a whole new experience to the basic tic tac toe puzzle. Yup.. here in this game, you need to be the first to make a 5 in a row line against PC or against any of your friends, with 5 difficulty levels. It take less than a minute to learn how to play Mega Tic Tac Toe, and let me tell you, it takes a lifetime to master this. There are options such as New Game, Undo, Last Move, Sound, and Help. It’s extremely addictive brainstorming game. Go ahead and download Mega Tic Tac Toe app in Windows 8 now.